Just STOP Saying “We Are All Sinners” – STOP IT!! I cannot fully convey to you how absolutely sick and tired I am of hearing this line from people who claim they are Christians. “Well, you know, we are all sinners.” Let me explain why this not only nauseates me, it makes me boiling mad. Let me illustrate. I will try to disguise the culprits, though I don’t really know why I should. Here is Janet. You probably already know her story. Janet has been married for 30 years. She is a true Christian, but she has been soooo confused not only by the deceiving tactics of her abuser husband (who claims to be a Christian and loves to quote Scriptures to her) but also by the false teachings of her church. As Janet begins to sort through the confusing fog of all this, she finally approaches her “friend” Margaret (you know, the kind of “friend” who it turns out you need to steer clear of). “Margaret,” my husband is not who you and everyone thinks he is. He is not the saintly, serving, godly man he appears to be. Let me tell you what he is really like and what it is like to live with him.” And so Janet shares part of her story. Now, Margaret, for numbers of reasons (none of which are good) begins to churn inside as she works to process what she is hearing. Her world is threatened and she doesn’t want her world rocked. Too costly to her. So, when Janet is finished, Margaret gives her some “Christian words of wisdom” – “Well, Janet, none of us are perfect. We are all sinners. You need to be patient and loving all the more.” Margaret feels so warm and fuzzy inside. She has been a fine Christian in all this you know. What is the reality however? The truth is that what Margaret has just done is right out of the pit. It is a conniving, evil tidbit of distorted doctrine invented by man, never taught by God’s Word. Margaret has just blamed and shamed Janet, the victim, and enabled and protected the wicked. Margaret is an ally of evil. Eph 2:1-3 And you were dead in the trespasses and sins (2) in which you once walked, following the course of this world, following the prince of the power of the air, the spirit that is now at work in the sons of disobedience– (3) among whom we all once lived in the passions of our flesh, carrying out the desires of the body and the mind, and were by nature children of wrath, like the rest of mankind. The Christian is a child of God, a saint, a holy one, beloved of God, a new creation, and on and on the titles for us go. We are still battling our fallen flesh, but that is not who we are anymore. Gal 5:16-17 But I say, walk by the Spirit, and you will not gratify the desires of the flesh. (17) For the desires of the flesh are against the Spirit, and the desires of the Spirit are against the flesh, for these are opposed to each other, to keep you from doing the things you want to do. Rom 8:4-9 in order that the righteous requirement of the law might be fulfilled in us, who walk not according to the flesh but according to the Spirit. (5) For those who live according to the flesh set their minds on the things of the flesh, but those who live according to the Spirit set their minds on the things of the Spirit. (6) For to set the mind on the flesh is death, but to set the mind on the Spirit is life and peace. (7) For the mind that is set on the flesh is hostile to God, for it does not submit to God’s law; indeed, it cannot. (8) Those who are in the flesh cannot please God. (9) You, however, are not in the flesh but in the Spirit, if in fact the Spirit of God dwells in you. Anyone who does not have the Spirit of Christ does not belong to him. Therefore, when some supposed Christian like Margaret says “Well, we are all sinners you know. You need to forgive him. You are just as bad as him in God’s sight…” they are denying Christ. They are denying and rejecting the gospel. They are saying that a true Christian walks in the flesh but is still on his way to heaven. 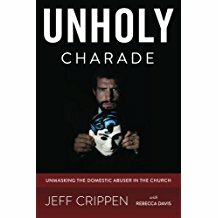 They are saying that the Christian is just as evil as the wicked abuser, deceiver, liar, child of Satan. So if you are using this line, repent of it! Go to the person you shamed and guilted with it and ask their forgiveness. Get your head screwed on straight and start thinking biblically. Isa 5:20-21 Woe to those who call evil good and good evil, who put darkness for light and light for darkness, who put bitter for sweet and sweet for bitter! (21) Woe to those who are wise in their own eyes, and shrewd in their own sight!